Churchill Manor provides several extra features to make your stay at our Napa Valley accommodation extra special. Our variety of extras are perfect for a Napa Valley romantic getaway or relaxing vacation. 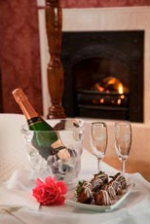 Stay enhancements include a spa session, welcome basket, wine tasting additions, romantic packages, and other treats. View more details below & select the perfect special extra for your Napa Valley vacation here at Churchill Manor. Pamper yourself with massage therapy provided by highly-skilled and licensed massage therapists. Available in the privacy of your guest room or in the mansion library, we offer traditional Swedish massage as well as deep tissue and warm stone. A 60-minute Swedish massage is $125 and a 90-minute Swedish massage with an aromatic facial is $175 (optional gratuity not included). Subject to availability. Presented in a logo insulated picnic basket. Enjoy your picnic basket during your stay, then simply collapse the aluminum frame and fit it comfortably into your suitcase to take home to use again and again! 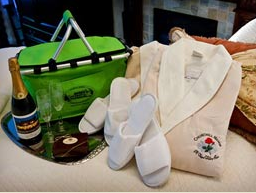 Our picnic basket is the perfect enhancement to a Napa Valley romantic getaway. 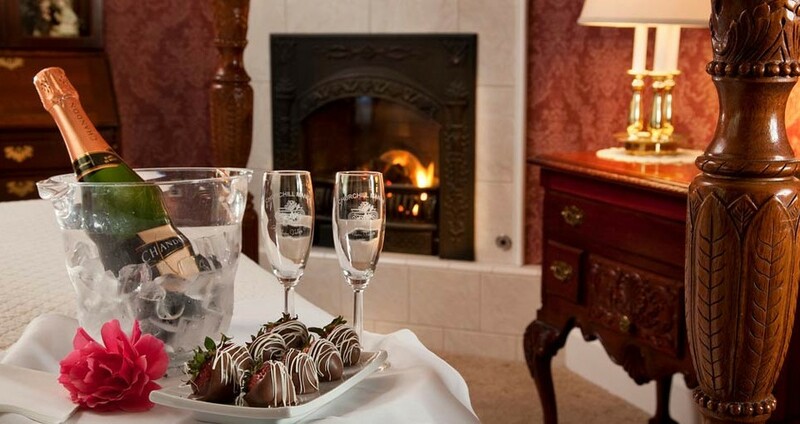 Indulge in this Napa romantic package during your stay at Churchill Manor. 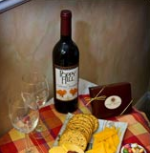 This special includes all you’ll need for a couple’s romantic getaway. Gift Certificates – Give them away or save one for your next stay! Click here to buy gift certificates online.